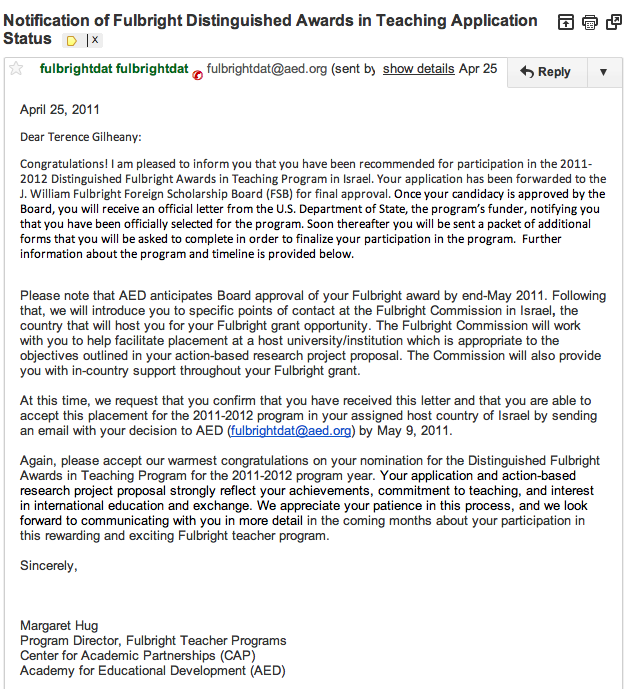 I think I just won a Fulbright Distinguished Award in Teaching grant to study in Israel next year. The email says I have been “nominated,” but it also says “once your candidacy has been approved” and uses the future, not the conditional tense. I’m using my college counselor spidey-senses to detect a “likely” letter here. So many questions remain, but this is extremely exciting.